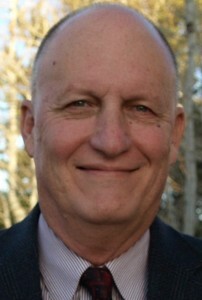 Gary Horvath is the primary content provider for cber.co. As well, Gary Horvath has worked with various groups to produce annual employment forecasts of the state economy for over 25 years. The annual forecasts have been supplemented by indices to track economic performance over the short term and monthly updates of the economy. In addition he has directed three statewide analyses that included reviews of all 64 county economies. In addition, Gary Horvath has conducted work other than research. For example, he was the principal investigator for a state and federally funded project to prepare a nanotechnology roadmap for Colorado. As well, he was involved in establishing the Colorado Photonics Industry Association, a trade group for Colorado’s Photonics cluster. Horvath has been an active board member of the group since its inception. Finally, Horvath has been extremely active in the Economic Development community. He has served on the Board of Directors for the Economic Development Council of Colorado, Northwest Denver Business Partnership, Adams County Economic Development, and Broomfield Economic Development Corporation. Horvath has also served as a lead for the photonics/electronics cluster as part of OEDIT’s early stage and proof of concept programs. For additional information about Horvath’s background, click here.